WolfGolem 50 shades of black. It races and rages, swerves and lurches, exhausts and exhilarates, and keeps me guessing through all its calculated unpredictability. Claire Qiu Takes a sledgehammer to the rib cage. And you'll enjoy it. 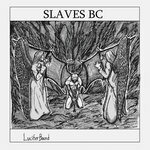 Get all 10 Slaves BC releases available on Bandcamp and save 35%. 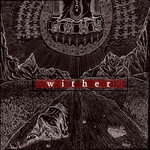 Includes unlimited streaming via the free Bandcamp app, plus high-quality downloads of Least of These, MIHPARES, Lo, and I Am Burning, wither, All is Dust and I Am Nothing, Lucifer Bound, The 144,000, Cursed Breath // Innocent Blood, and 2 more. , and , . 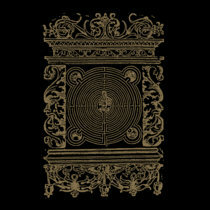 The new LP is available on limited 180 gram vinyl from The Fear and the Void Recordings. All vinyl copies come with a digital download card. The album will be released via bandcamp digitally and vinyl pre-orders will begin shipping on March 16th, 2018. 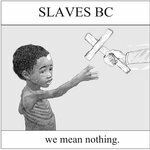 All songs written and performed by Slaves BC. Front cover, back cover, vinyl labels, and layouts by Josh Thieler. Insert artwork by Stephen Wilson (Unknown Relic). Insert photo by Dani O'Brien. 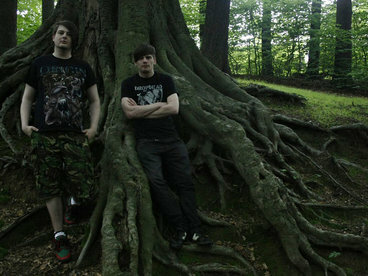 The Fear and the Void Recordings. LLC all rights reserved 2017. "It’s a difficult album to listen to, but it’s also the very rare sort of album that is going to change the listener on some level, so long as that listener approaches it with an open heart. And yes, I do realize what a strange thing that is to say about a black metal album, but Slaves BC are definitely not your typical black metal band." "Many of us are struggling, and sometimes each new day is like getting back up only to be punched in the face again. 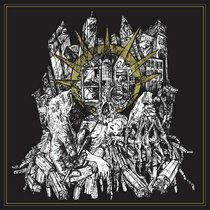 “Lo, and I Am Burning” captures that struggle, the metal turmoil that makes it seem like things never will be OK again. They will, even though that feels like a hopeless cause sometimes, and perhaps this music can help be a reassuring reminder that you’re not alone." 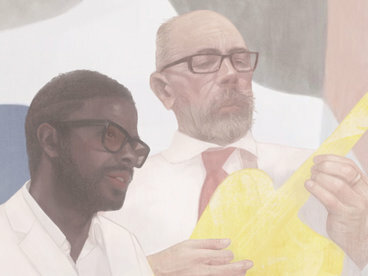 "Lo, and I Am Burning may very well be a divisive release, when all is said and done, and it may not be an easy listen even at the best of times, but it’s undoubtedly a brutally rewarding, not to mention disturbingly compelling, album all the same, and one of my favourite new discoveries of the year." 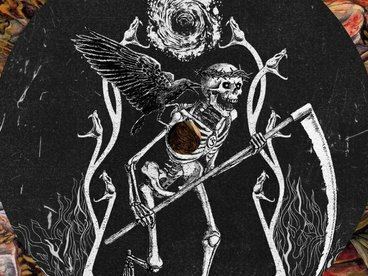 "Lo, and I Am Burning is a dark and troubling gem, a hoard of inner demons hurtling by, unleashed with so much honesty and trvth as to render the petrifying procession beautiful. 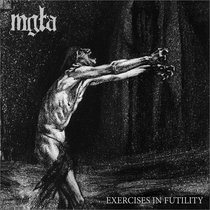 Regardless of religious beliefs, I would urge all ye faithful to dissonant metal to make a pilgrimage to this album, as this is trvly faith-affirming stuff. Hear me, I beg. 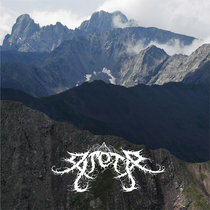 4.5/5"
"Whilst discordant black metal often feels as if it’s one step removed from its creators, the emotional nature of Lo, and I am Burning makes this an album that feels like it needed to be created, for the sake of the emotional well-being of Slaves BC. Music like this does not arise from simple jamming of riffs; it is an album that communicates something fundamental, fulfilling a need every bit as fundamental as eating and drinking. The vitality and sense of catharsis offered is remarkable, and as impressive as Lo, and I am Burning is – and make no mistake, it’s very impressive – it’s this which will most likely see people talking about the album for years to come." "Lo, and I Am Burning is a raucous steamroller of energy creating and releasing tension deep within. It's dynamic and noisy, frightening yet alluring. If you're looking for release, look no further than the cleansing fires Slaves B.C. have set ablaze. Amen." "This is a harrowing album that sees the band pushing themselves in ways they haven’t before and massively improving in the process." "While some of the songs on the record tend to blend together and carry on a little longer than they should, the album has a lot to offer and is a fantastic follow up to their debut. Slaves BC show a lot of promise as a relatively new band and are getting better with each release. 7/10"
"One main way to characterize this music would be DENSE. There are so many layers to unpack here, it’s unquestionably the type of album that takes at least three or four listens to really “get” it all." 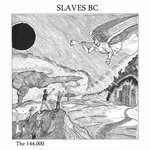 "Slaves BC have written a monolithic slab of noisy, heavy black/doom madness that pretty much spells out this world’s implosion. Try to change my mind." 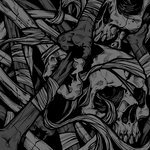 "The album sees them maintain the raw, discordant black metal sound of its debut, while rounding out its sound with elements of doom and death metal." 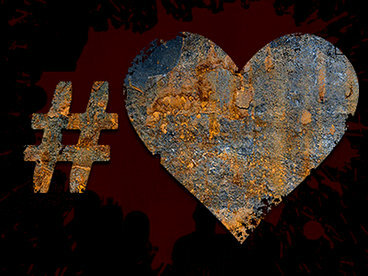 Rust Belt Blackened and Doomed Death Metal..